Founder’s Day is a day to recognize those among us that spend so much time helping our school and community. This year our Founder’s Day theme is TEAM (Together Everyone Achieves More.) As a parent, you have the opportunity to nominate a staff member and a parent volunteer to be recognized at the event. Please submit an email to cmsmith1973@hotmail.com with the name and a brief explanation of why you are nominating him/her. 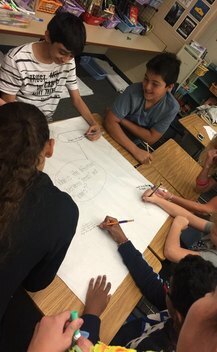 LOGO DESIGN CONTEST: Students are encouraged to create a design along our theme "TEAM". There will be a winner for Elementary, Middle and High School, and then a winner out of the three. 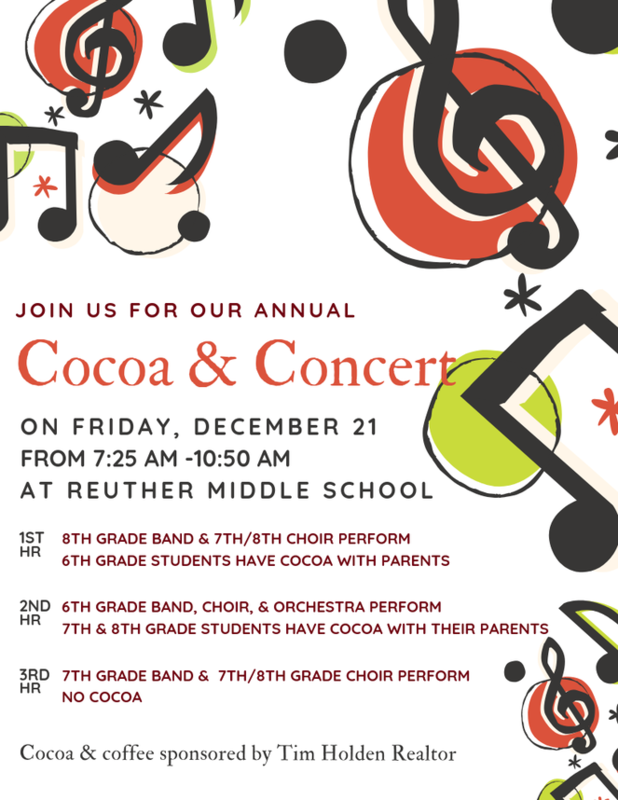 reuther giving tree -- Students to students for the holiday! Our 7th and 8th Grade Student Mentors have been busy visiting all of our Homeroom classes to explain our partnership with Neighborhood House to provide toys for students. Some homerooms have signed up for a specific item--ask your students about their homeroom choice! 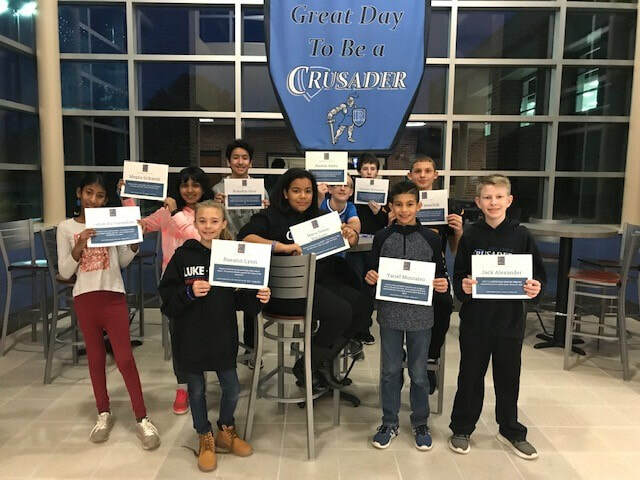 Congratulations to our latest Cool Crusaders! Yariel Montalvo, Samiksha Surendran, Raeann Lynn, Austin Antis, Maria Souza Machado, Megna Srikanth, Jack Alexander, Jack Yanachik, Brandon Goro and Christian Williamson. These students were nominated by their teachers for their kindness, helpfulness and hard work! In order to keep our kids safe, please do not drop off or pick up students in the front parking lot on Auburn Road. 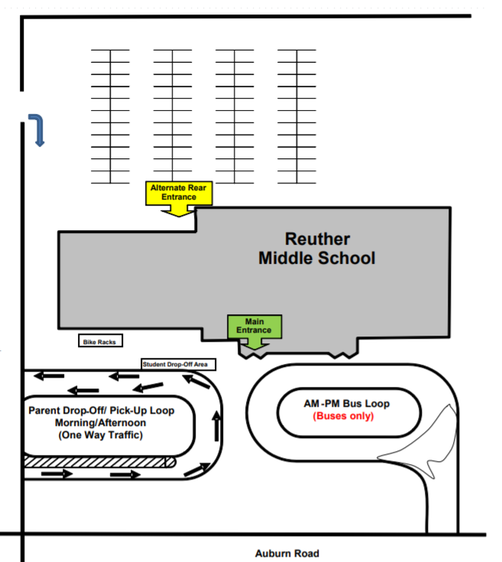 Please use the student drop off/pick up loop located on the southeast corner of our school or you may also drop off/pick up students in the back entrance off Culbertson Road. It is crowded and busy during that early morning drop off and afternoon pick up and we thank you for your patience and help in keeping all of our students, staff and visitors safe! Students met for their first Kidz 4 Kidz Designz charity club meeting with Ms. Cottone! We gathered ideas on how to help people in need and will work on creating Welcome Home signs and refurbishing furniture for homes of these former homeless families. 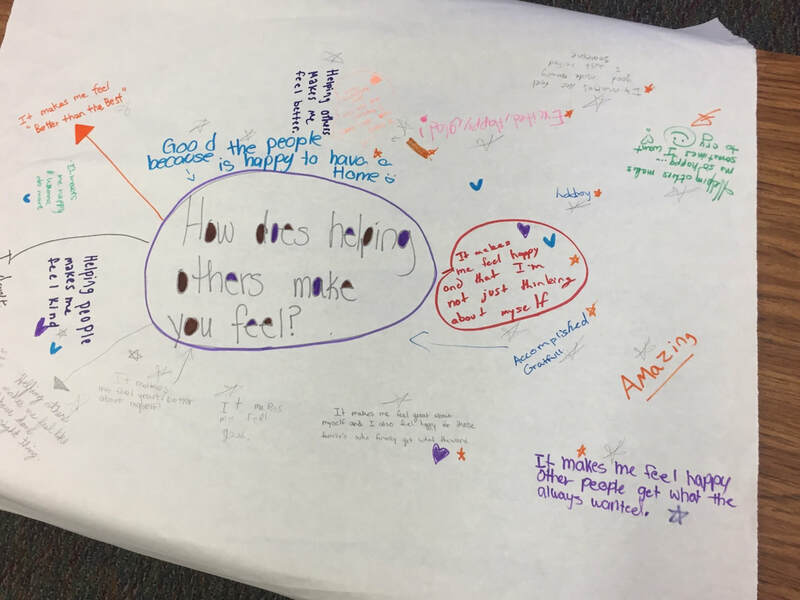 Pictured below are students chalk talking issues of poverty and how they can help as a club. Robotics Club looking for parent volunteers! October 30 competition – SPECTATORS ONLY – Parent drives student to event to see first-hand what competition looks like. December 8 – COMPETION! (Oxford) More information to follow. cn tailgate -- a great success! Our Fall Crusader Nation Tailgate was a great success! Students (and even some staff!) got their faces painted, their hair painted, played outdoor games mastered the inflatable obstacle course! 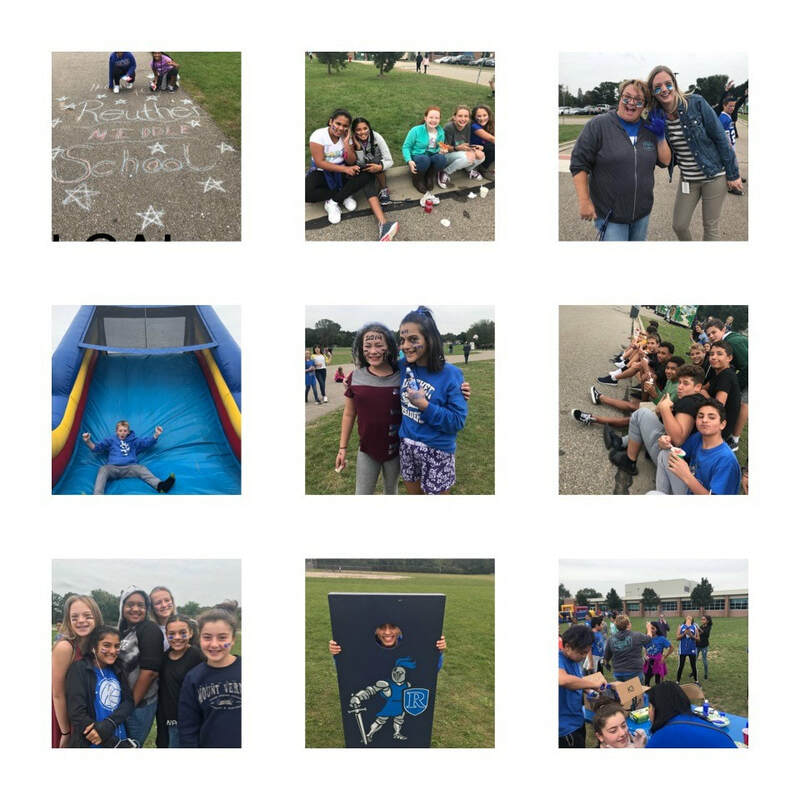 Thank you to our staff Crusader Nation Committee for planning this event, thank you to our Student Council for funding it and a special thank you to our parents who helped to chaperone! 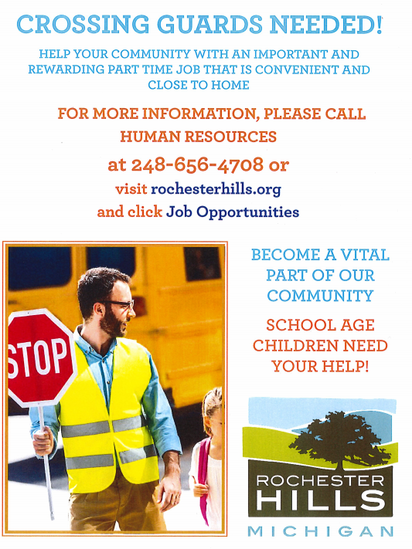 ​Rochester Community Schools is pleased to offer the Blessings in a Backpack program to all families who qualify for Free and Reduced lunch. This program provides a weekend supply of non-perishable food items for each child in the family. The process for signing up for the Blessings in a Backpack program is very easy. Please review the link below and return the bottom portion to your child's school office by Friday, October 12, in order to receive a bag the following week. If you were receiving Blessings in a Backpack during the summer months, you will need to re-enroll by visiting the following link and returning the bottom portion of the form. The 2nd Annual 8th Grade Trip to Washington, D.C.
Our 2nd Annual 8th Grade Trip to Washington, D.C. will take place April 3-6, 2019. See the attached flier for the details! Check out what's happening at the Rochester Hills Public Library! PLEASE HELP US KEEP OUR STUDENTS SAFE ON THEIR WAY TO & FROM SCHOOL! Many Reuther students walk and ride their bikes to school. 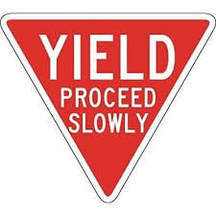 Please be cautious when driving near our school and yield to them...It's the Law! When you exit the Reuther pick up and drop off onto Culbertson and wait at the light to turn left onto Westbound Auburn Rd...you MUST YIELD to the students crossing at that crosswalk over Auburn. They have the walk sign when you get the green light, and the traffic rule is the driver MUST yield to the pedestrians. Our school liaison officer will be patrolling to help enforce this and keep our kids safe. To a pedestrian in a marked crosswalk. To a pedestrian in the crosswalk, even if your traffic light is green. To children near or in a school zone crosswalk when school is in session-- Be especially cautious as children may unexpectedly dart out into the street. To pedestrians with disabilities, including physical, hearing and visual disabilities. When turning at any intersection. This includes all turns, whether or not there are lights or traffic control devices present. When stopping at an intersection with a stop sign or a flashing red light. To a pedestrian in an unmarked crosswalk on the driver’s side of the roadway when no traffic control devices are present. To a pedestrian who enters a crosswalk before the signal has changed. 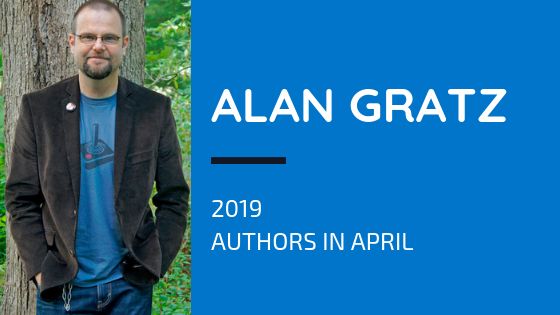 Reuther is proud to welcome Alan Gratz to Reuther for our 2019 Authors in April program. Students will be reading his books in preparation of his visit. 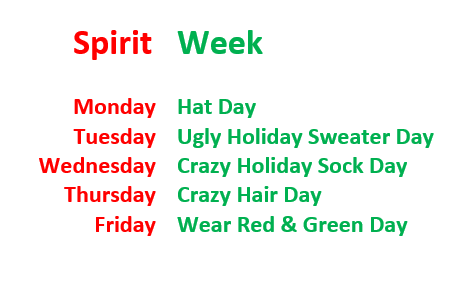 Order forms are due by Monday, December 10. Please contact your child’s language arts teacher with any AIA questions. Please do not walk in between the buses. This is extremely dangerous. Please do not walk or cross through the bus loop by going into the road during this time. Please use the sidewalks between the parking lot, drop off loop and building entrances. As the weather changes and the mornings become darker, please be extra careful to look out for our students who are walking and riding their bikes to school. 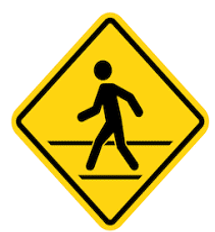 While we are fortunate to have upgrades at the intersections of Auburn/Culbertson and Culbertson/Marlowe, it is still so important for those of us dropping off or picking up students to be mindful of those students who are walking! ​Student safety is always our priority! Please join us in keeping all of our students safe! Resources>Password Maintenance. Please view the document below for more information. 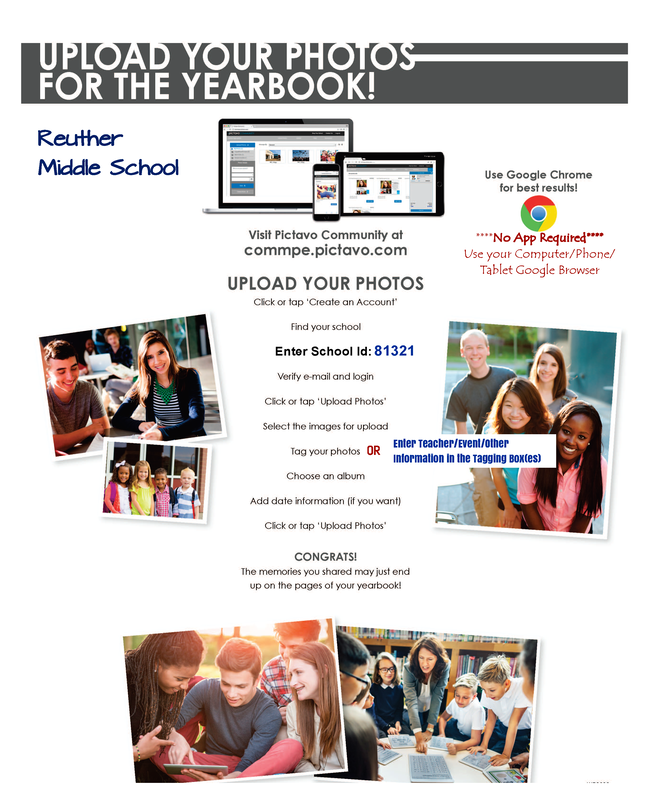 The ParentVue and StudentVUE website are both available at the following link: https://rcsvue.rochester.k12.mi.us. StudentVUE can be used by secondary students to access their attendance, grades, assignments, and more. To learn how to access this information, view the instructional document below. Please click here to access our Sports Schedules and other important information about our sports programs! 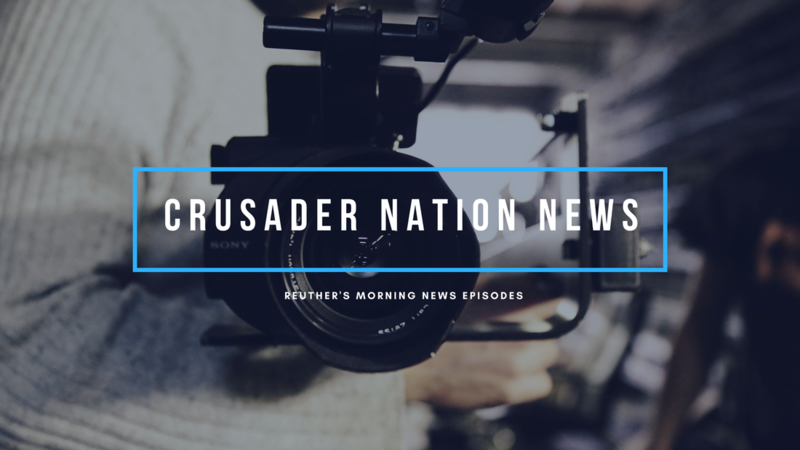 Crusader Nation News airs Monday-Friday at 7:25am. 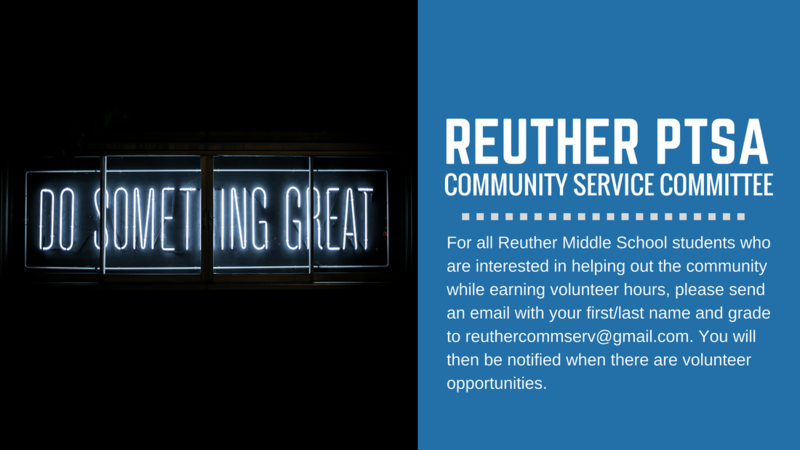 Our mission is to keep students and staff up-to-date on events, sports, and programs happening at Reuther. You can Watch our morning news episodes on our channel. Watch our morning news episodes. Thank you PTSA & Green Schools! Reuther Recycles! 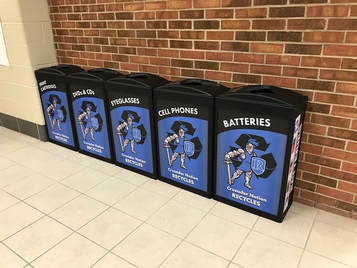 Located in our Main 6th Grade Lobby, these new Recycle Bins are for Print Cartridges, DVDs & CDs, Eyeglasses, Cell Phones and Batteries. Thank you to all who donated points for us to earn our Green Schools Grant! Support the Reuther PTSA with your Amazon purchases! Click here to sign up for Amazon Smile. Amazon will donate .5% of the price of your eligible purchases to the Reuther PTSA. It's simple, it's easy and it supports our school! ​Please use these instructions to help you fill out the application for free or reduced price school meals. 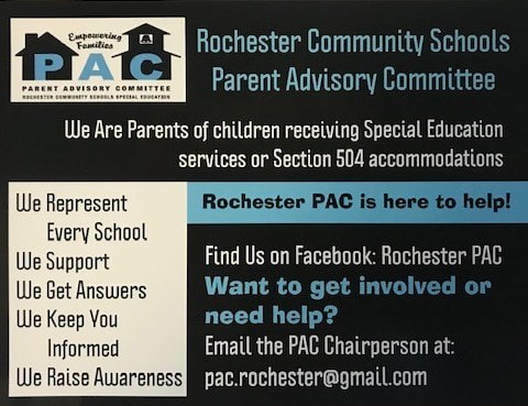 You only need to submit one application per household, even if your children attend more than one school in Rochester Community Schools.